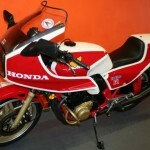 This lovely Honda has recently been restored by its owner. The frame and swinging arm were blasted and painted. The engine was stripped, checked and rebuilt with new genuine gaskets. All of the engine cases were repainted in the original black and gold. 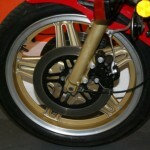 The wheels were stripped back and resprayed. 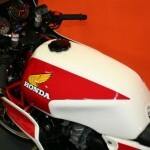 New grips and footrest rubbers were fitted. All of the electrical items were checked and overhauled. 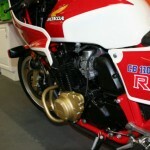 A brand new genuine Honda exhaust system was sourced and fitted. 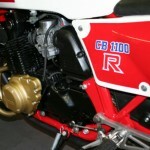 Honda CB1100R – 1981 For Sale or Wanted? 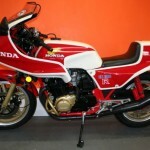 If you're looking for the perfect Honda CB1100R – 1981 for sale then take a look at the hundreds of restored classic motorcycles listed on our extensive Motorcycles For Sale pages. 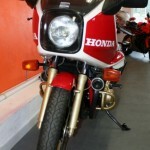 We regularly feature very nice restored Honda CB1100R – 1981 bikes for sale. 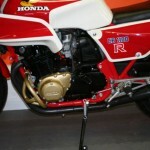 Spares and Parts for your Honda CB1100R – 1981? 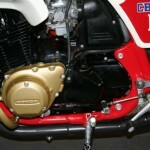 Workshop Manual for your Honda CB1100R – 1981?